This is a semester long class offered at PHS to juniors and seniors. The areas of focus will include the basic economic concepts, personal financial understanding, and a comparision of various economic systems throughout the world. 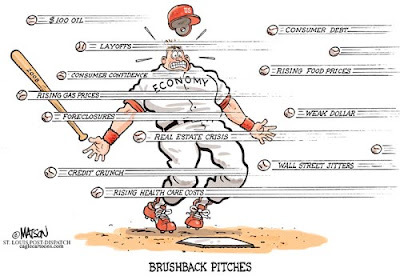 We routinely talk about “the economy” as if it were a self-evident concept. We say “the economy is growing” and “the economy is in bad shape,” without really discussing what it is exactly that we’re referring to. In this class we will look at the key components to the economic system that is used in the United States of America. There are many factors that influence the economic state of our nation and it is important for all of us to understand how the actions of the large organizations such as corporations and governments influence each and everyone of us. There are two main fields of economics that are studied: Microeconomics and Macroeconomics. Microeconomics looks at the decisions of individuals and small organizations and how these decisions influence the distribution of resources. Macroeconomics looks at the large scale policies and procedures that influence entire systems. These two areas of economic study can not be separated because the underlying question we all have about the 'economy' is "How are these things going to impact my bottom line?"